When Mei Lin took home the grand prize on Bravo’s Top Chef 2015, no one was prouder than her mentor, Michael Voltaggio, of LA’s Ink—where Mei cut her culinary teeth. Within six months, Mei had become sous chef—with some tough Voltaggio love—and a lot of hard work. Born in China, Mei was whisked away as a baby child into the very different, auto-manufacturing community of Dearborn, Michigan. Here, her family opened a Chinese restaurant where Mei learned her away around the kitchen. And though her time in Michigan was formidable, she credits a stint at Wolfgang Puck’s Spago Vegas, and the invaluable time at ink with mentor Michael, for her Top Chef status. Mei’s impressive blending of Chinese comfort food with learned Mexican flavors enabled her to seal the deal on Top Chef, like her congee garnished with Mexican carnitas, hot sauce, peanuts and egg yolk. But the title-snagging dish was a strawberry-lime curd with toasted yogurt, milk crumble, bee pollen and yogurt-lime ice. According to judge Tom Colicchio, it was “the best dessert I’ve ever had on Top Chef, period." And now, more than just the show’s judges will get the chance to try the 28-year-old’s award-winning eats. “Currently working on opening a restaurant in LA with Asian influences ... But more info as of yet:),” writes, with emoji included, Mei in an email when we ask about the restaurant opening rumors. An interview with Eater LA hints that Mei, using her show winnings, will open a casual congee and noodle shop with a fine dining casual spot later. Mei Lin: Order the Beef Roll. I’m always willing to travel for great food, and this beef roll is a perfect example of that. 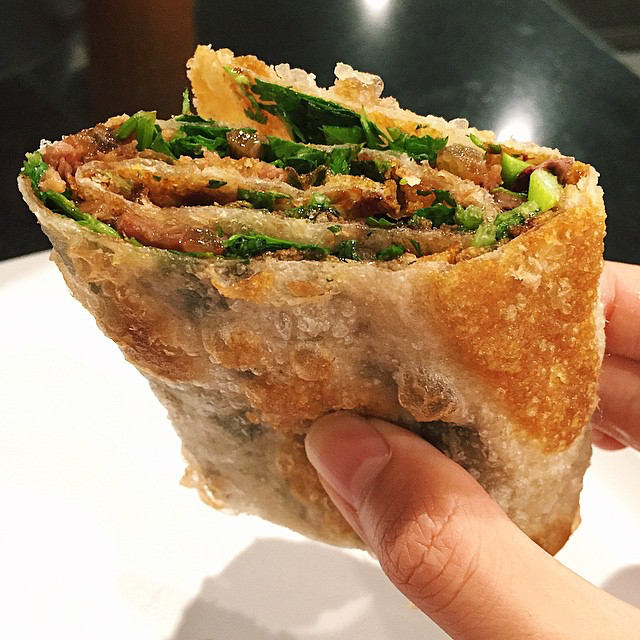 A Chinese "burrito" if you will, filled with tender beef, cilantro, hoisin sauce. Perfection in my book. OR The Pork & Sour Vegetable Noodle Soup (with Hand Torn Noodles). One of the other reasons why I come to 101 is for these noodles. All the noodles are made In house, but the pork & slivers of garlic, with the sour mustard combination are my favorite. ML: Order the House Lobster. I grew up eating this dish and I'm so glad I can come to a restaurant and have it be spot on with the one I ate growing up. So well done and simply delicious. ML: Order The Pork with Thousand Year Old Egg Congee. This is my favorite breakfast dish of all time. Add a bit of soy and white pepper and you're all set. 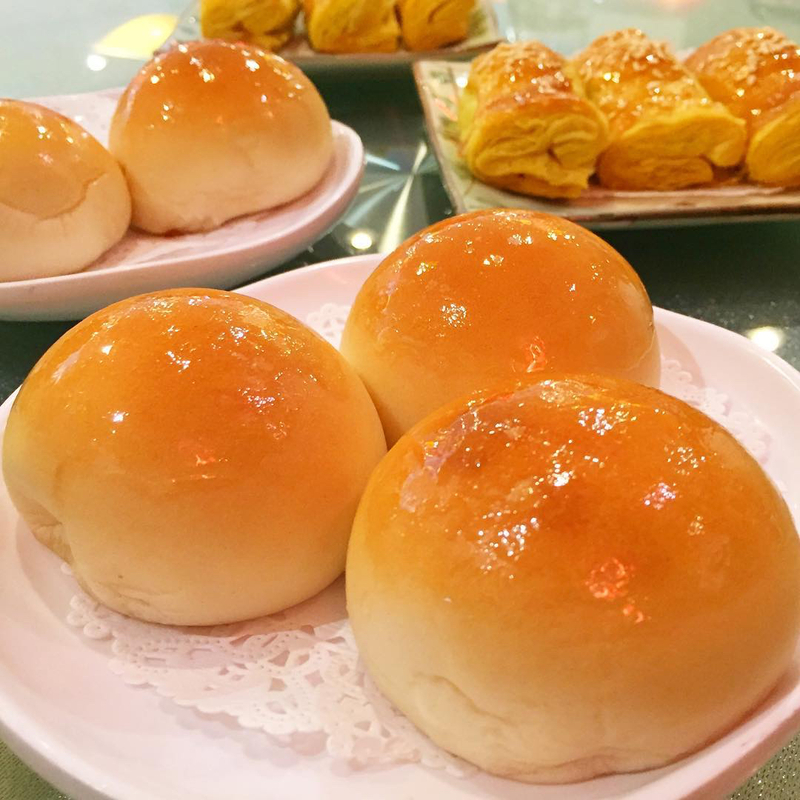 ML: Order the baked BBQ pork buns. These amazing morsels are so good—one is just not enough! 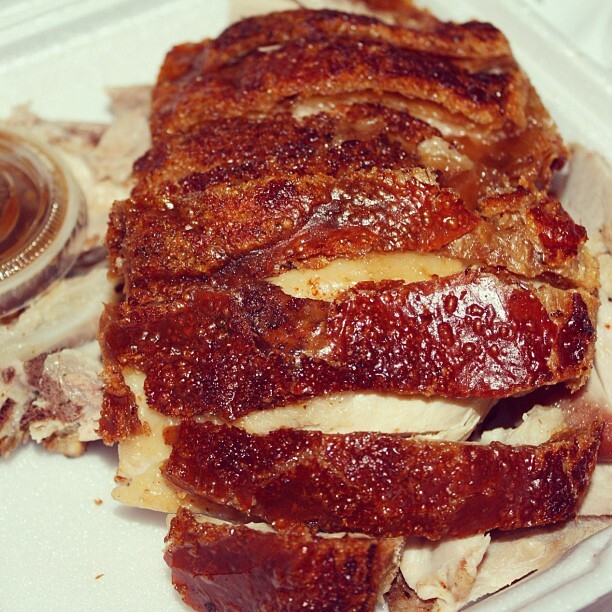 ML: Order the roasted pork (Siu Yook). The Flavors of xiao shing, 5 spice, & white pepper go so well together. Get a plate of this with some steamed rice and some stir fried baby bok choy and you'll be a happy camper. Seasonal New American fare from Wolfgang Puck served in sleek digs with a patio for people-watching. Traditional Vietnamese-, Cambodian- & Thai-influenced seafood dishes, with house-special lobster. Dim sum, traditional Chinese dishes & chef specialties in a spacious setting with white tablecloths. 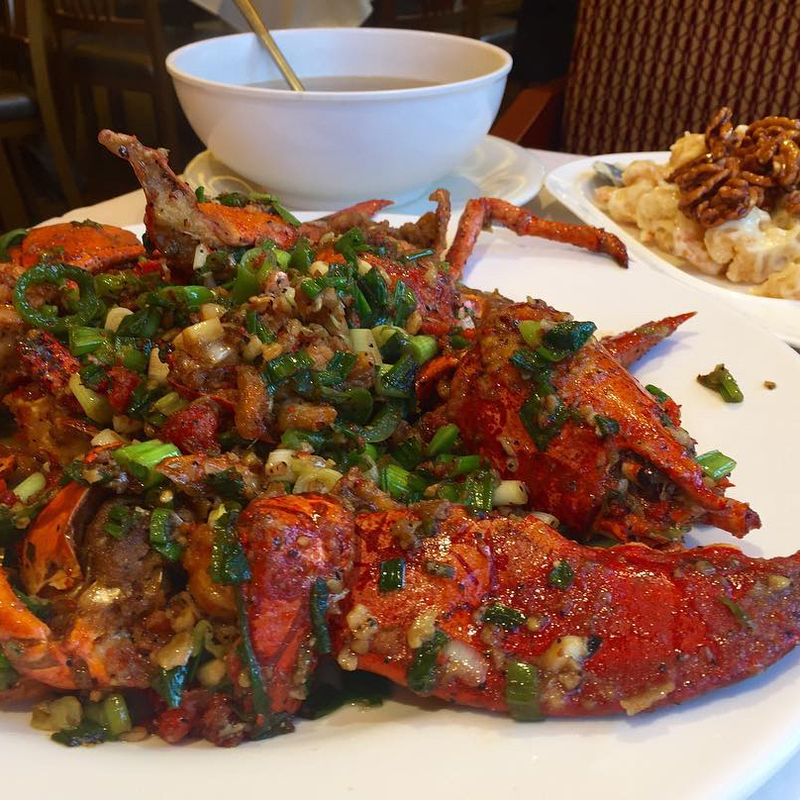 Upscale go-to for traditional lunchtime dim sum & Cantonese seafood entrees for dinner. 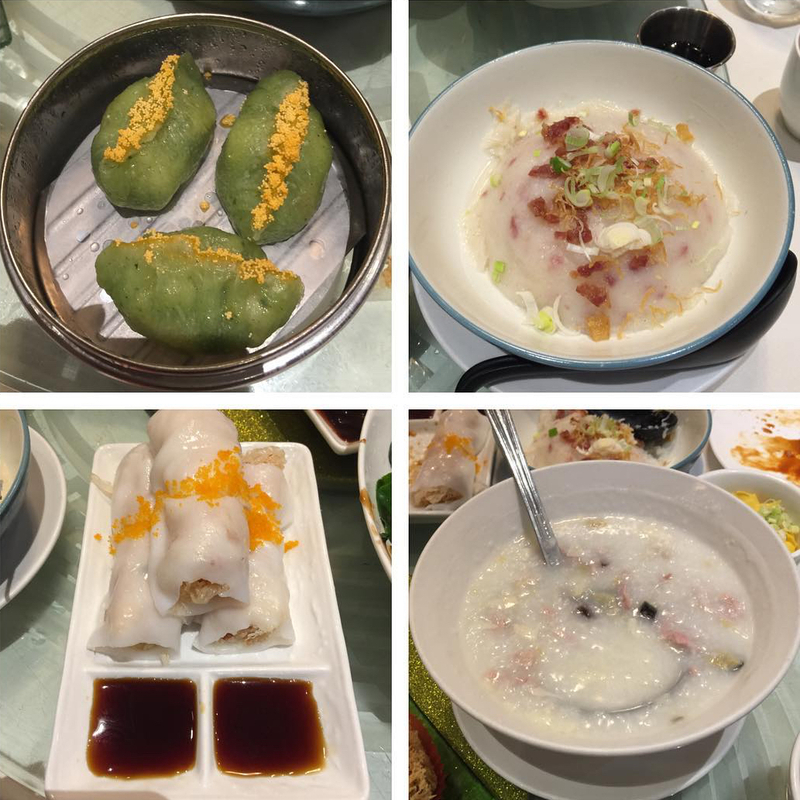 Casual Cantonese eatery with late-night hours serving classic fare including BBQ pork & peking duck. Classic Chinese dishes, including signature hand-stretched noodle soup, served in a sit-down space.